Extremely intense, brooding wine, with depth & a long finish. The carefully selected vines for this wine come from the vineyards : “Los Borregos Estate”, plantation from 1969, one of the oldest Malbec plantations in the Argentinean Patagonia. 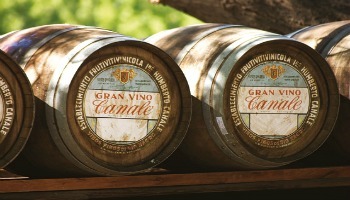 Humberto Canale is a family winery, located in Patagonia since 1909, being the oldest in the region. still remains with the same family, being now run by the 5th generation of it. Great thermal amplitude (51 F-86 F) during summer, gives a special character to the wines together with an organic environment and natural low yields. The winery makes wines from the following grape varieties: Cabernet Sauvignon, Pinot Noir, Merlot, Malbec, Cabernet Franc, Sauvignon Blanc, Semillon, Torrontes and Viognier.